Math isn’t one of my fortes, but here is an equation for you: one red onesie + one pink eye + two orifices dripping yellow and green goo + two packets of chamomile scented tissues + (almost) two weeks of solitude + one doctor’s visit + one box of antibiotics + one lost bus pass (yes, I lost it AGAIN) = my winter holiday. My initial plan involved Krakow, Poland – this marks my third failed attempt at going to this city. Maybe it isn’t written in the stars for me. I am not overly bitter – most of the time I just laugh at my predicaments. It is what it is. 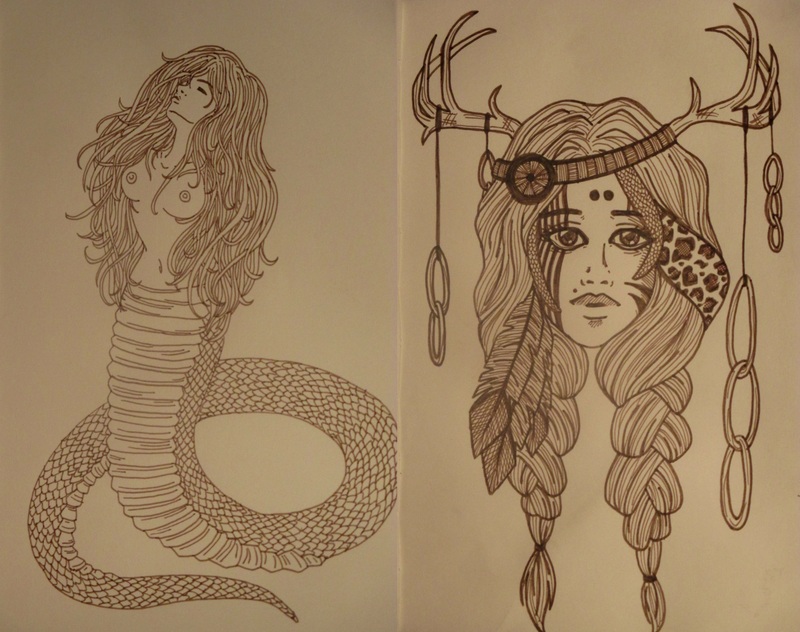 I drew pictures while I patiently waited for my pink, crusty eye to heal itself. When it finally did, I headed for the hills! Okay, not really, but I did play with bears and stand at the edge of a cliff. Sepia pen. Animal themed humans. My friend Caroline and me. MS Paint (oh, how I love thee). My friend Kate and I went to Medveotthon in Veresegyház. 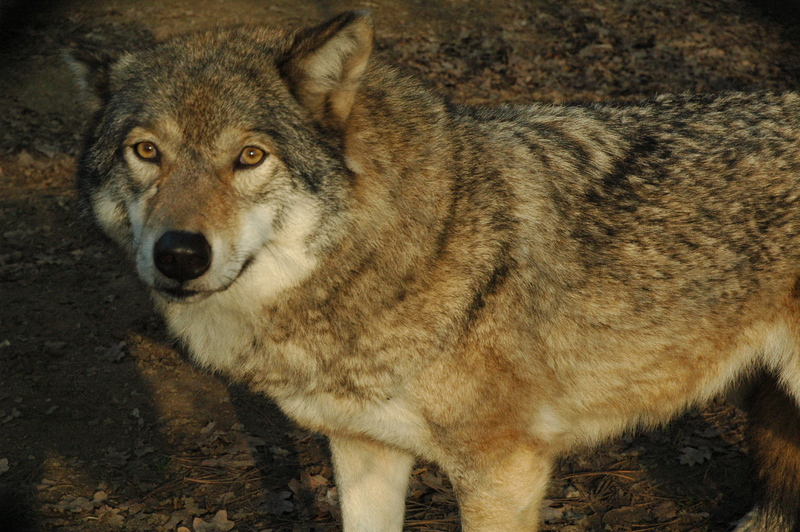 Medveotthon is bear and wolf sanctuary – it is the only one in Central Europe. Kate and I took a train from Budapest-Nyugati to Ivacs (do not get off at Veresegyház) and walked for about twenty to thirty minutes to reach the place. If you get off at Veresegyház you will have at least an hour of walking time. We paid 750Ft ($3.41) each way and it cost 500Ft ($2.27) to get into the premises. Taking inland trains from Friday to Saturday is 33% off for all those under 26. I have less than a year to reap in the benefits of “youth.” When we reached Medveotthon, we purchased some honey (you can bring honey from home) and attempted to feed the beers with long spoons. 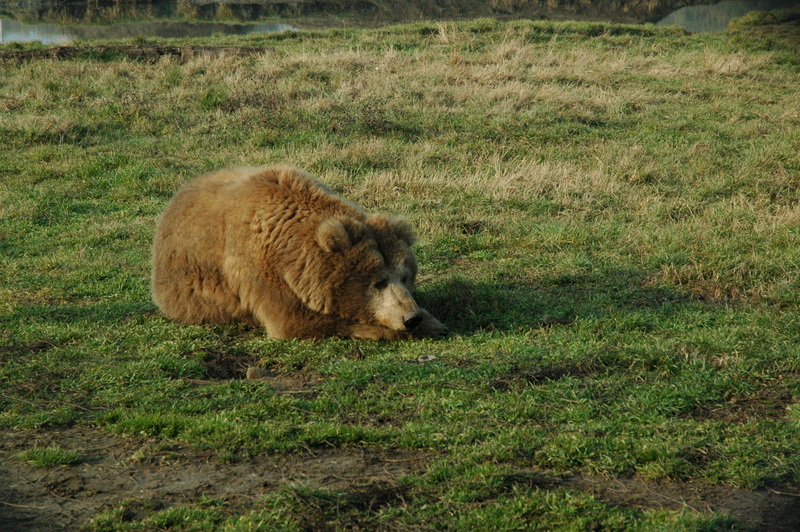 It was only after about two hours that we found a bear willing to be loved on by two desperate Americans. The cutest bear ever. I mean, really. In the perfect world I would have one by my side (and a tiger on the other… with a hawk on my arm). More excited than this picture could ever show. I am trying to make it a point to visit more places in Hungary. Many people have the bad habit of just staying in Budapest (if placed there). The country offers so much outside of its wonderful capital. 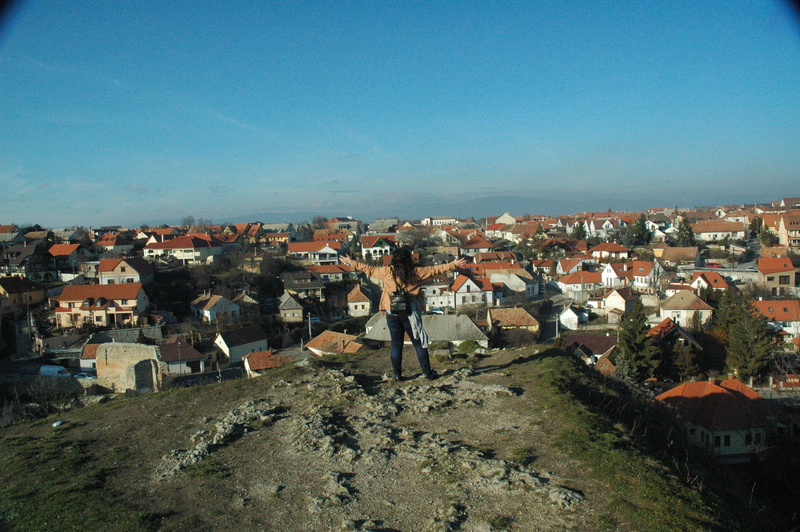 Yesterday my friend Molly and I traveled to Veszprém – this visit marked my thirteenth Hungarian city/town/village. 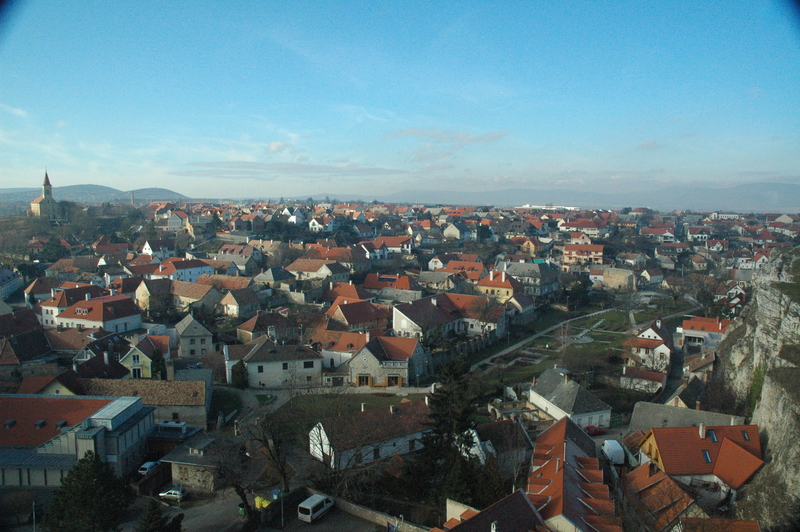 We took a train from Budapest-Déli to Veszprém that cost 3.290Ft ($14.97) roundtrip – again, the youth discount was used. The train station is about a 45 minute to an hour walk from the city center. Veszprém is one of the oldest cities in all of Hungary with one of the three earliest stone castles, dating back at least a thousand years. The castle used to serve as the King and Queen’s episcopal seat. 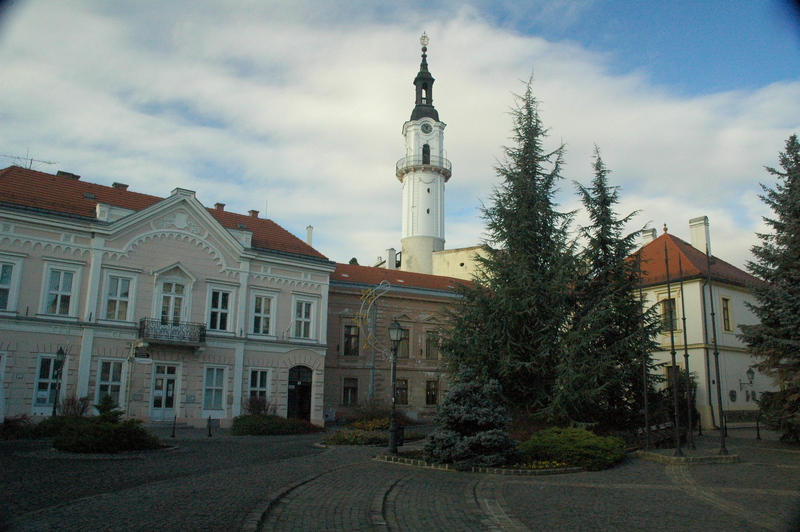 Queen Gisele (Gizella királyné), the first queen consort of Hungary, loved Veszprém (it is said that it was her favorite city). Her presence in the city is felt along with her husband, King Stephen I (I. István király). In addition to a museum dedicated to Queen Gisele, there is a famous statue of the royal pair that was unfortunately covered during my visit. 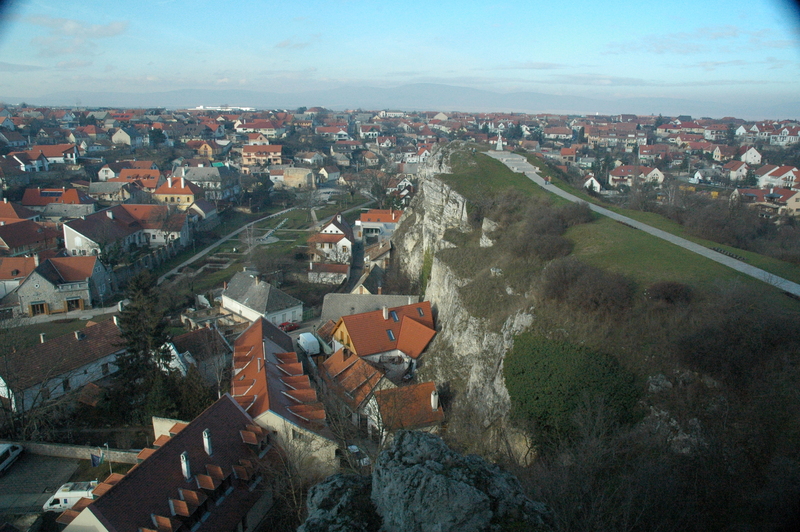 The medieval center is perched upon a huge hill/cliff that overlooks the city. The views were spectacular. For about two months Budapest has been shrouded in grey clouds – seeing the sun was a beautiful, magical thing. 2014 is here – so this is the new year. I don’t believe in making New Year’s resolutions, but one of my best friends Claire posed this question to me: “When was the last time you had a great memory from your room alone?” Yes, I was sick this break. However, for those who know me, you know that I can spend unspeakable minutes, days, and even weeks in solitude and be absolutely okay. I have waited my whole life to live [in Europe]. I need to act more on getting out of my flat and breathing in this once lusted after air. Being “alone” is not the problem; I just need to venture out more often. It is easy to get into a habit, no matter where you live and what you are doing. Although my life may seem like a beautiful adventure to many, I still long to frolic about like many of my travel heroes. The difference between me and my heroes is that they add action to their dreams – they add action to their daily life. I go on adventures, but am I living the adventure? These are the thoughts that keep me up at night. Just kidding, video games and Friends reruns are the cause, but the first sounded better. Here is to actually living and not living occasionally! I cannot drink due to these antibiotics, but have a glass or two in my honor. A Lesson From Miss Jennifer: Do not sleep on a bed of chamomile scented used tissues no matter how tempting. you are right! there is so much to see of Hungary outside of Budapest! have you tried taking the hydrobateau along the Danube to Vienna? I did it in the late 90ies. Thank you so much! First of all, I am glad you agree. This country is so beautiful! And unfortunately the answer is no. 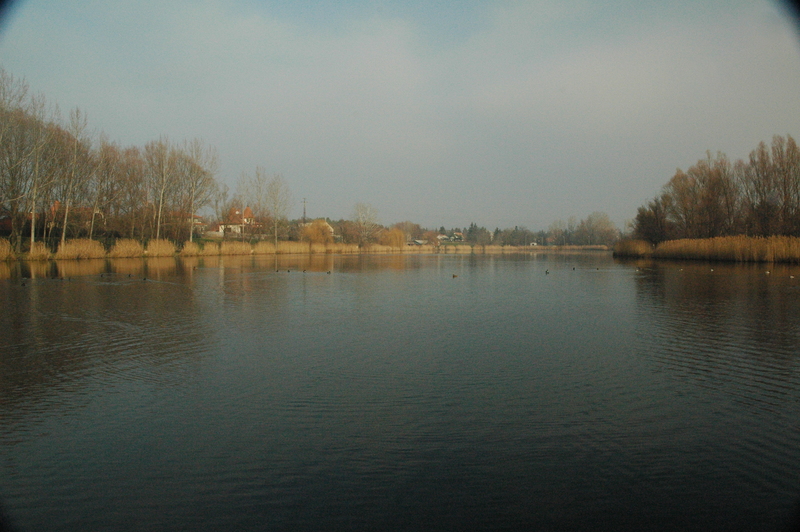 Although I love boats, I haven’t been on a boat on the Danube… yet. 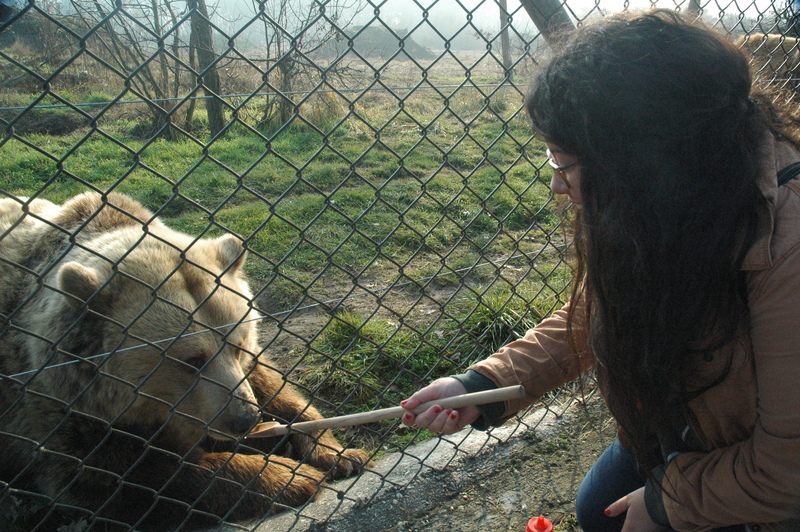 My sister wanted to volunteer at the wolf and bear sanctuary, but I guess they don’t have facilities for visiting volunteers. Good for you for making the effort to see Hungary outside of Budapest. Volunteering would have been awesome. The workers played with the wolves – oh, how I wish that could have been me. I think it is so crucial to travel outside of the large cities. Smaller towns are, in my experience, more authentic. Hopefully I will be able to travel more extensively elsewhere in Europe as well.